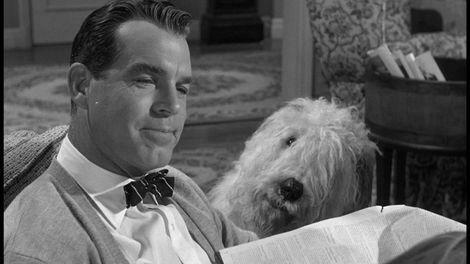 You might say it was inevitable in the selection of canine classics available that “Brando the movie watching Dachshund” would want to sit in and see Tommy Kirk turning into a lovable English Sheepdog while dear old dad who has a hate on for our four legged friends hilariously played by Fred MacMurray isn’t exactly overjoyed with his son’s shape shifting. This live action feature from Uncle Walt’s Studio is a long time favorite of yours truly and that’s due to childhood memories of seeing it at the theater in rerelease and probably it’s playing in two parts on the Sunday night Disney hour over the course of a couple weekends. Dogs, slapstick and even a touch of eeriness to give the kiddies a scare make it one that’s hard to forget if seen at the right age. Here I am years later and laughing just as much as I did way back then. 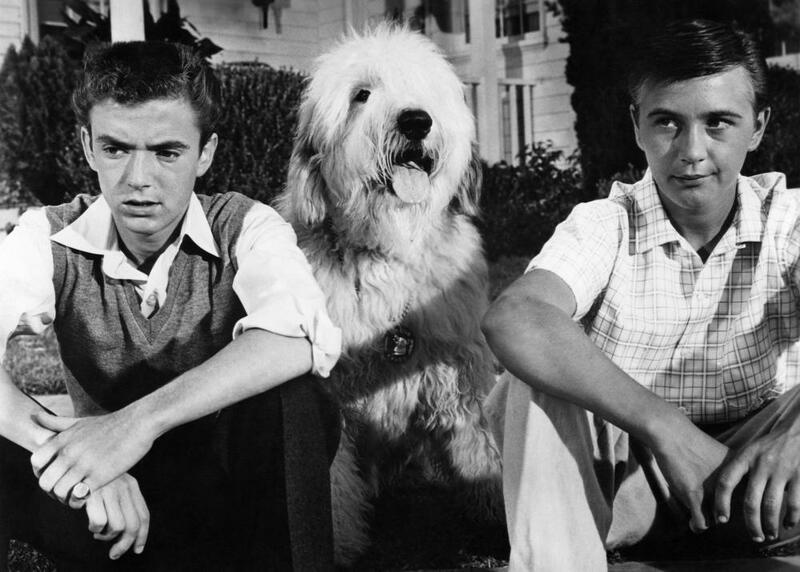 Kirk’s pal played by Tim Considine is a young egotistical skirt chaser with the hot rod car to boot. This allows the story to introduce Mickey Mouse Club graduate, Annette Funicello as the most popular girl in town. 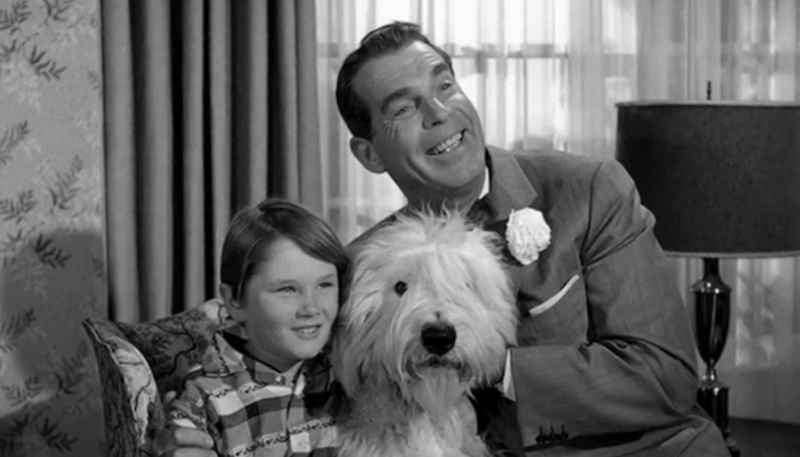 That is until Tim and Tommy spot the shaggy dog’s owner and French import Roberta Shore. That accent combined with her figure has the boys forgetting all about poor Annette. Not to worry, Frankie Avalon is in her very near future over at AIP in the Beach movies. When the boys and Miss Shore find themselves at the local wax museum overseen by curator, Cecil Kellaway, a painting and a mysterious ring from the Borgias dynasty is to put a curse upon poor Tommy. 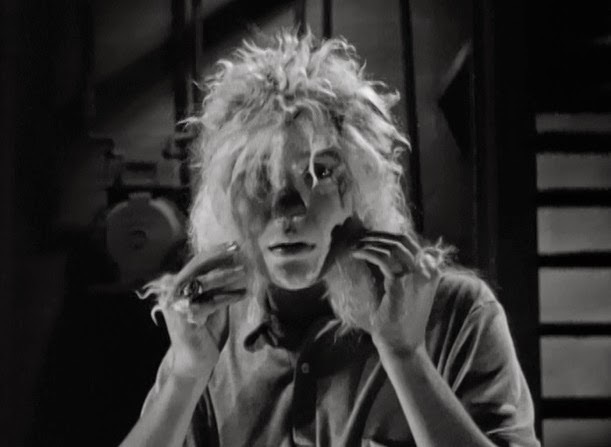 One that will see him turn from a young schoolboy into his neighbor’s shaggy dog as if he’s Lon Chaney Jr. turning into his famous Wolfman characterization. Let the slapstick begin. Tommy’s younger brother Kevin is in seventh heaven. His brother has turned into a dog. Just what he’s always wanted and this one talks! 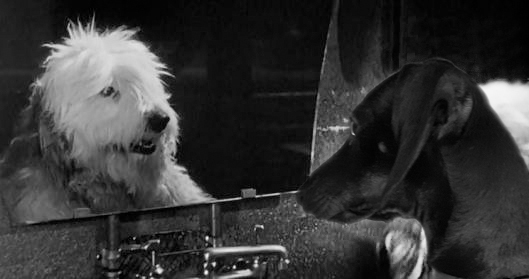 Now all he has to do is keep his new found dog a secret from the shotgun carrying MacMurray who has a sixth sense about dogs and goes about stealing scenes with his itching and cranky comments about dogs in the area to his wife, Jean Hagen. 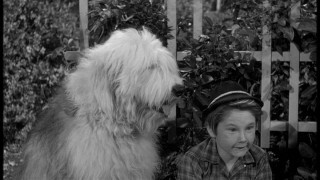 Also joining in the fun is character actor James Westerfield as a local patrol officer who keeps coming across a talking Old English Sheepdog and seeing his stature on the force to continue to plummet with each meeting. His role here was so much fun that Disney would recast him in the same role for The Absent Minded Professor where he would see and here that flying car as opposed to the talking dog. Spies? 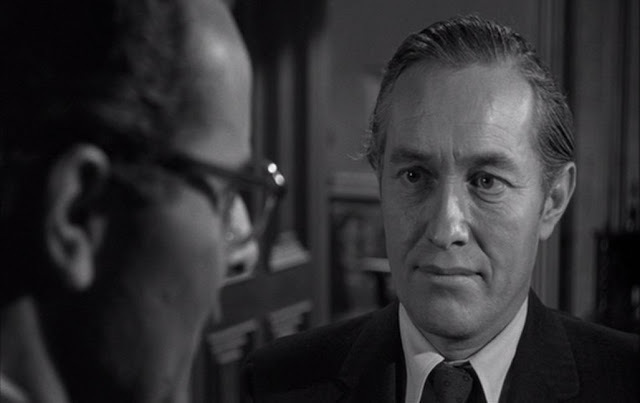 Yes they enter into the story as well and look for none other than Strother Martin as one of the villains here in Disney Land. You’ll also spot Jack Albertson turning up as a newsman at the fadeout when Fred becomes our hero by happenstance. Getting back to Fred, he’s spot on here as Tommy and Kevin’s father. One has to love his double takes and even triples at times not to mention his reaction at seeing his son’s voice coming from the shaggy dog. This is the movie that would kick start Fred’s association with Disney that lasted into the 1970’s over the course of numerous films including a pair of titles involving the substance called Flubber. This one’s a Disney winner for me even if it drags a bit in the final stanza. It’s the type of film I’ll be sure to show my grand children some day should number 1 or number 2 son here in the household bless us with any. 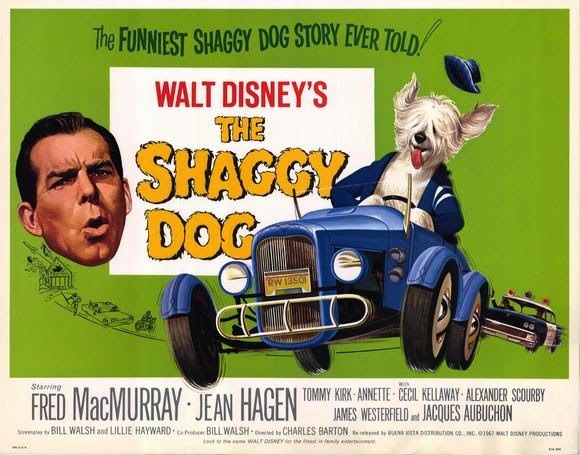 Of course there was a sequel and I’m not even sure how many reboots but for me there’s really only the one film that has the charm of yesteryear and captures the entertainment value that Uncle Walt wanted to bring into every family’s home during his lifetime. Brando? He loved this one and was fully alert when the big white guy was on screen barking, whimpering or howling. As a matter of fact I think little Brando’s imagination was running at a fever pitch. I caught him looking at himself in the mirror in this snapshot and couldn’t believe my eyes at his reflection staring back at him. Brando hopes everyone takes the time to rediscover this one and he’ll see you all next month with another fine canine selection.